Managing a gluten-free diet can be a challenge, particularly for those with celiac disease. Thankfully, the Delaware Valley has more than two dozen dedicated gluten-free restaurants, bakeries and businesses where guests can partake without concern of cross-contamination. All of these businesses are listed in the Gluten Free Philly app (search "100") [iOS and Android]. As Indian cuisine is inherently gluten-free friendly, it's no wonder that many of the Philadelphia area's Indian restaurants can accommodate gluten-free guests. 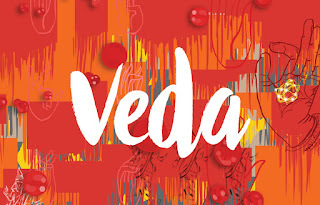 The just-opened Veda in Rittenhouse Square (1920 Chestnut St., 267-519-2001), which focuses on Northern Indian cuisine, lists gluten-free options on its lunch, dinner and dessert menus. In Lansdale, Spice Kitchen (1758 Allentown Rd., 215-853-3717) also notes gluten-free options on its menu. In Berwyn, 30 Main (660 Lancaster Ave., 610-220-2367) notes gluten-free options on dinner menu - items like lobster bisque, Thai shrimp and crab cakes. Old City's Red Owl Tavern at the Hotel Monaco (433 Chestnut St., 215-923-2267) offers gluten-free waffles with bourbon glazed apples and hazelnut butter at breakfast and Sunday brunch, among other options. The waffle iron is dedicated to making just gluten-free waffles. Fox Tail gluten-free beer is currently available at the bar, and the kitchen can accommodate gluten-free request at lunch and dinner as well. At Ristorante Pesto in South Philly (1915 S. Broad St., 215-336-8380) - featured in yesterday's Philadelphia Inquirer food section - the kitchen can cook gluten-free gnocchi and penne in a separate pot. Uncle B's BBQ Shack in Phoenixville (413 Schuylkill Rd., 610-935-1363) prepares gluten-free mac-and-cheese separately from its traditional counterpart. All meats are gluten free, as are all ketchup-based sauces. The kitchen also has a gluten-free fryer for wings and French fries. If you missed Tuesday's post, you can read up on the many gluten-free-friendly restaurants we found during a recent vacation to Las Vegas. Though we usually head to Florida between Christmas and New Year's Day with our boys, this time around we opted for something different - going west. It had been more than 15 years since my wife and I were last in Las Vegas and much has changed since then. This time around, however, we had to be mindful of gluten-free dining options. I'm happy to report that both on and off the Strip, Sin City has many accommodating restaurants. 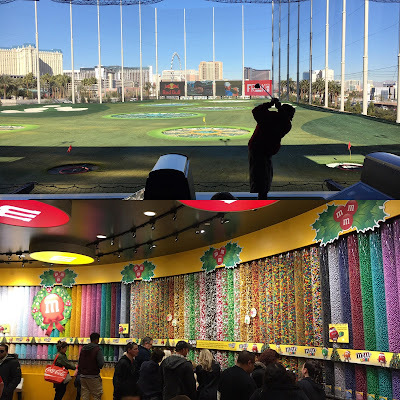 While gambling and Vegas go hand in hand, you don't have to be a high roller to enjoy the area's many activities and sights. We used one of the many hotels on the Strip - Mandalay Bay at the southern end - as the base for our week-long stay. Since we were flying to and from the East Coast, two days were effectively for travel, leaving us with five full days to sight-see. We flew back on New Year's Eve, but as you can imagine, Las Vegas is a popular draw for holiday revelers, so the city was crowded throughout the week. (Artists as varied as Drake, Bruno Mars, Elton John and Sting were performing in town on the 31st.) During the week, we saw the always-entertaining comedy-magic act Penn & Teller (who are in residence at the Rio), America's Got Talent-winning illusionist Mat Franco (at the Linq) and the incomparable Jerry Seinfeld at one of his two shows at Caesars Palace, whose set was as funny as ever. Must-see Strip attractions include the Mirage volcano, the Bellagio fountains, the gondola rides at the Venetian's Grand Canal Shoppes, M&M World and the Coca-Cola store (where you can sample soda flavors from around the world), the Stratosphere tower, and the Topgolf golf entertainment complex at the MGM Grand (there's one opening in Mt. Laurel, New Jersey in late 2017; gluten-free flatbreads and burger buns are on the menu). 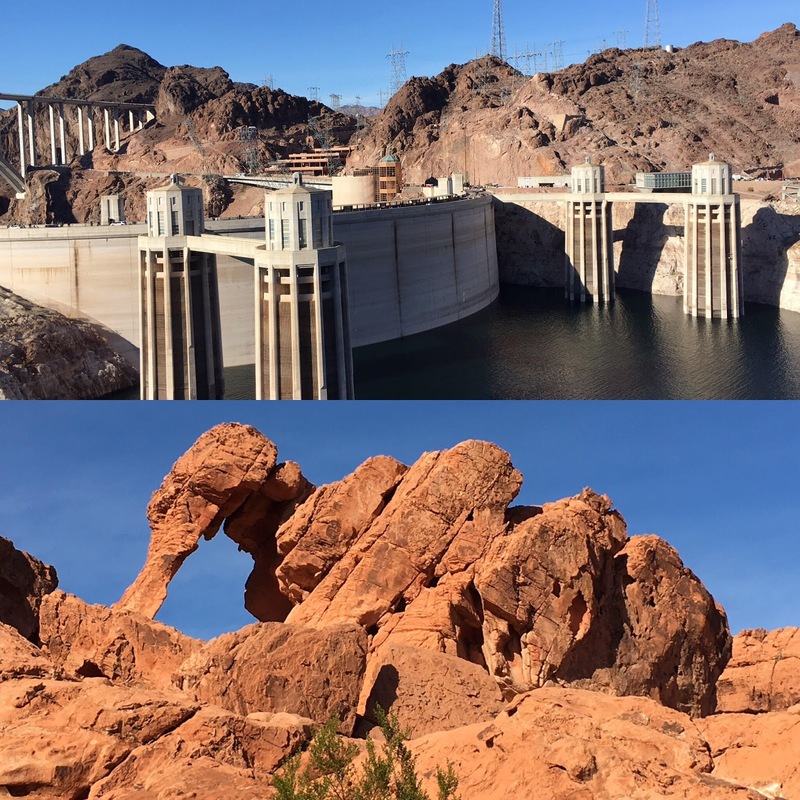 We alternated our days between spending time in Las Vegas proper and taking road trips to explore the surrounding area. If you plan to visit places away from the Strip during your stay, it's worth your while to rent a car compared to the cost of paying for a tour, particularly for more than two people - the drives themselves are priceless. On one of the days, I made the nearly three-hour, one way trek though Nevada and Arizona to Utah's Zion National Park - a breathtaking sight, especially in the winter. 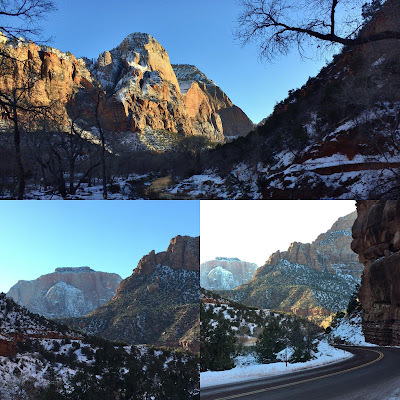 The gateway to Zion National Park is a small Utah town called Springdale. We stopped for lunch at Cafe Soleil, where our son had the Southwest Chicken Salad. Gluten-free options are noted on the menu and there were pre-packaged snacks and cookies available. 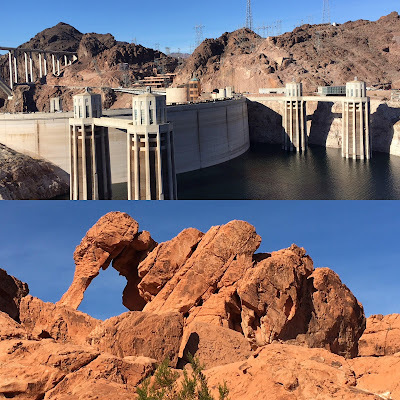 Our other - shorter - road trip was to the majestic Hoover Dam, traversing back alongside Lake Mead and through Nevada's Valley of Fire State Park, where we walked several trails. 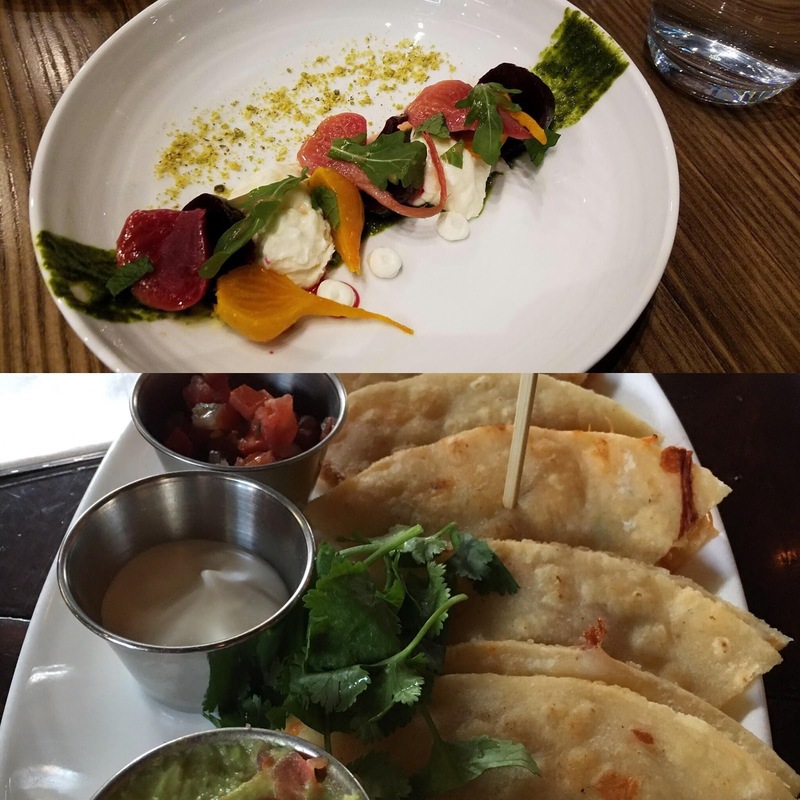 We found it easy to dine gluten free at the Strip hotels we visited. At Mandalay Bay, our waiter at the SeaBreeze Cafe was diligent about making sure our son's breakfast (eggs, potatoes and bacon) were made separately. For dinner one evening, the chef at Lupo by Wolfgang Puck prepared his gluten-free spaghetti in a clean pot with fresh water and tossed it with a Bolognese sauce. Though we didn't get to many of the other restaurants at Mandalay Bay, most can accommodate and note gluten-free options on their menus, including Border Grill, Fleur by Hubert Keller and House of Blues. At the adjoining Shoppes at Mandalay Place, our older son enjoyed a delicious burger (with gluten-free bun), separately prepared steak fries and a shake at Burger Bar. For dessert on another evening, we went to Rick Moonen's RM Seafood for "Rick's Tasting Game," 16 flavors of ice cream and sorbet served blind. (We asked to make sure that all flavors were gluten free.) We were given a sheet to write down our guesses and if we got all correct, the dessert would be on the house. Though we only got about half right, we had a fun time trying them all. RM Seafood lists gluten-free options on the lunch and dinner menus. The Lettuce Entertain You chain of restaurants out of Chicago has long had a reputation of being gluten-free-friendly, and the Vegas outposts we went to were no exception. My wife commented that the chicken fajitas she had for lunch at El Segundo Sol were the best she'd ever had. We took advantage of some refills of the unlimited tortilla chips (prepared in a dedicated fryer) and our older son had a chicken quesadilla made with grilled corn tortillas. On the night my wife went to see the Michael Jackson-themed Cirque de Soleil show (which she highly recommends), the boys and I ate at Mon Ami Gabi, the chain's French bistro at the Paris Hotel. (There are East Coast locations in Bethesda, Maryland and Reston, Virginia.) Not only did the restaurant bring out warm gluten-free bread for our older son, he had French onion soup with gluten-free croutons for the first time as the prelude to a wonderful salmon entree. Incidentally, we ended up at Mon Ami Gabi because our original plans were scuttled. We had a reservation at Brooklyn Bowl at The Linq Promenade but had to cancel after after there was a gas outage in the shopping complex. We were looking forward to some gluten-free fried chicken (prepared in a dedicated fryer) but will have to wait for next time - or at least until we get to the original location in Brooklyn. We did try one hotel buffet for breakfast, the aptly named MORE at the Luxor. The chef came out to speak with us about safe options and several items were clearly labeled gluten free. However, the food was fair at best and not worth the $20 per person that would have been better spent elsewhere. We also dined at a couple of spots with New York connections. Although the original Carnegie Deli in New York City just served its last pastrami sandwich at the end of 2016, a subsidiary remains open at the Mirage, where our son had corned beef sans bread with a side of cole slaw. He had an ahi tuna salad and a banana split at the Las Vegas outpost of Manhattan coffee shop Serendipity 3, which closed since the time of our visit. a drive off the Las Vegas Strip. Off the Strip, popular West Coast fast-foodery In-N-Out was careful to prepare protein-style burgers and fries. 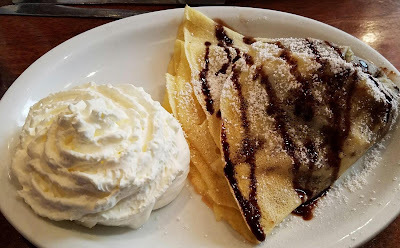 One morning, our son had his first crepe - made with gluten-free batter, Nutella, bananas and strawberries - at Crepe Expectations. The staff uses one of the griddles for gluten-free crepes and cleans it thoroughly when not in use exclusively for them. Although the Joseph James Brewing Company in nearby Henderson does not have a taproom or offer tours, visitors can find the brewery's gluten-free Fox Tail Pale Ale sold in local bars, markets and liquor stores. The beer, sold in cans as a four-pack, is made with organic rice as a base. 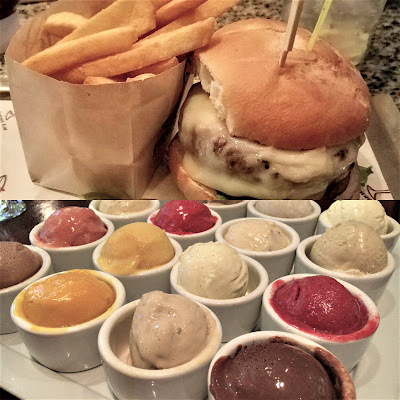 You can find more Las Vegas restaurant recommendations posted at Gluten Free in Las Vegas, where Vegas resident Lisa writes about her favorites, and at Alexis's Gluten Free Adventures. With the new year comes a round of new gluten-free products. Look in the cereal aisle for Post's new Cinnamon Pebbles, part of the regular - not limited edition - Pebbles line. The company has nutrition and ingredient information posted at its website. Kellogg's has added two gluten-free Special K Nourish chewy nut bars: Chocolate Coconut Cashew and Caramel Almond Sea Salt. Kashi, also owned by Kellogg's, has a new line of gluten-free chewy nut butter bars. Those bars come in four varieties: Salted Chocolate Chunk, Almond Snickerdoodle, Chocolate Trail Mix (all made with almond butter) and Coconut Cashew Macaroon (made with cashew butter). All of these bars include oats as an ingredient. The gluten-free Canyon Bakehouse bakery is introducing a new line of breads called Heritage Style, which come in Honey White and Whole Grain varieties. The bread is sold fresh, not frozen, and the slices are larger than those in the company's original bread loaves. Look for them in the grocery section at Target stores nationwide; they'll soon be available for online ordering through Canyon Bakehouse's website. Schar's newest gluten-free cookies include Butter Cookies, Chocolate Thins and Oat Biscuits. As I wrote in Tuesday's blog post, Jersey Mike's Subs locations in the greater Philadelphia area are participating in a 90-day test of gluten-free sub rolls. The locations that opened this week in Trexlertown, Pennsylvania and Voorhees, New Jersey are among those slated to participate in the program. The region's first BJ's Restaurant & Brewhouse recently opened in Allentown (665 N. Krocks Rd., 484-268-2340). 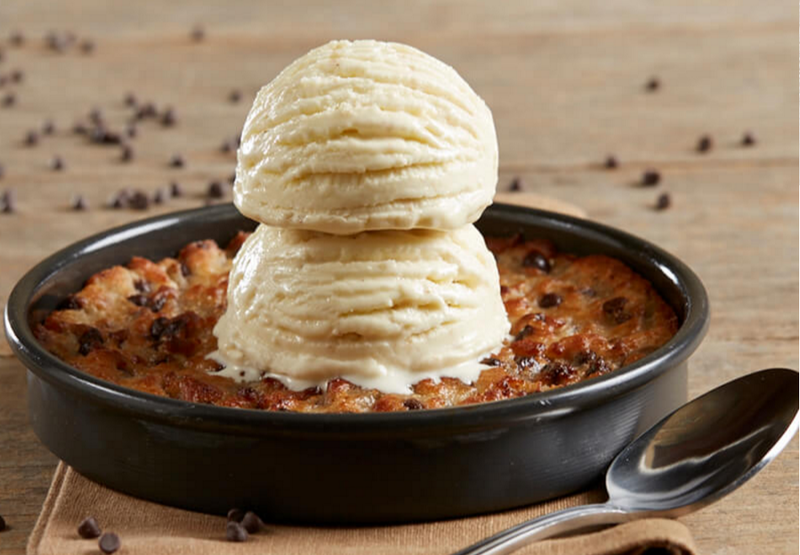 The gluten-free menu there includes thin-crust pizza and a chocolate chip Pizookie for dessert. Reader Dalice let me know that in the Queen Village section of Philadelphia, Thai restaurant Pad Chili (604-606 S. 2nd St., 215-470-4301) can prepare selected items gluten free. 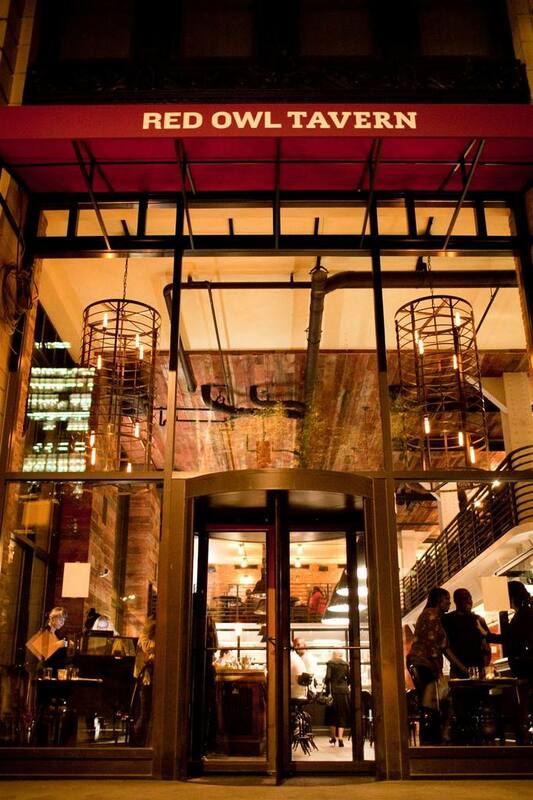 Two more Philadelphia Snap Kitchen locations have opened, one in Bella Vista (601 S. 10th St., 215-845-0027) and the other in Fishtown (1325 Frankford Ave., 267-838-6590). Practically all of the to-go meals sold there are gluten free. 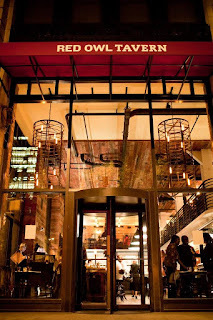 City Kitchen, the demonstration kitchen at Philadelphia's Reading Terminal Market (12th & Arch Sts. ), is hosting a "Gluten Free Friday" cooking class on Friday, March 3 beginning at 6:30 p.m. Tickets are $65 per person and can be ordered online. on dedicated pans to avoid cross contact. With roots in central Jersey Shore towns, Jersey Mike's can be excused if the growing sandwich-shop chain refers to its signature products as "subs" instead of the Philly-centric "hoagies." Wherever you're from, though, you can order your next meal there on a gluten-free roll. Jersey Mike's Subs is introducing gluten-free rolls in its Philadelphia, New Jersey and metro New York restaurants as part of a three-month pilot program. The proof-and-bake Tuscan herb rolls come from Colorado's gluten-free artisan Wild Flour Bakery and arrive as dough, baked fresh in store each day. The shops have dedicated pans for baking the gluten-free rolls, and team members wear new gloves when handling the rolls and use knives and other utensils that haven't touched other bread products when slicing them. While meats and cheeses are sliced fresh to order, I suggest that gluten-free guests request that their sandwiches be assembled on paper (not on the counter directly) and with condiments and produce such as lettuce, tomatoes and onions taken from a fresh stash to avoid cross contact. A list of allergens is posted at the company's website; currently, all of the cold cuts are listed as gluten free; on the hot side, only the meatballs, teriyaki chicken and chicken parmesan are not gluten free. If you want to skip the bread entirely, any cold sub can be made as a "Sub in a Tub." In southeastern Pennsylvania, stores in Horsham, Glen Mills, Phoenixville, West Chester and 30th Street Station in Philadelphia are slated to carry the gluten-free rolls. Cherry Hill, Cinnaminson, Glassboro, Hamilton, Marlton, Moorestown and Princeton are the designated South Jersey locations. 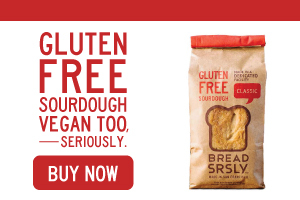 All should have gluten-free bread available within the next week or two. 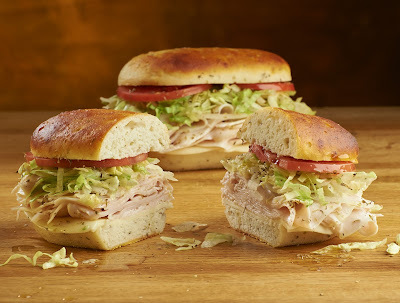 Sandwiches made with the new bread option will cost an additional $2.